Choosing the colours you use in your bathroom is a really important decision that comes right at the beginning of your bathroom redesign. There are lots of different colour and style options open to you so the key here is to discover the benefits of each style. The final choice of your bathroom’s colour palette will depend not just on the colour of your bath or tiles, but also the overall look you want to achieve. A bathroom that incorporates white marble, porcelain and wood will have an entirely different feel when using soft green or blue blue. 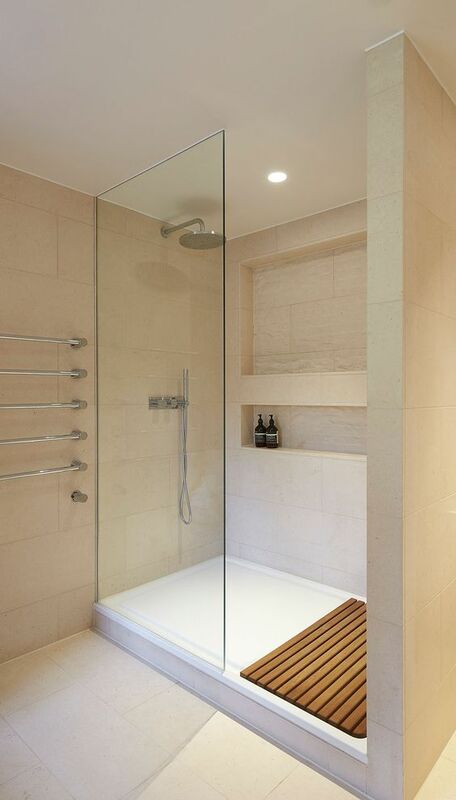 Do you want your bathroom to be relaxing or energising? modern or timeless?”. Each bathroom colour has positives and negatives as well as products and design features which fit perfectly with the style. Every house and bathroom is different so getting your colour scheme right is the perfect way to show off your own personal style and taste. Pastel colours in the home affect soothing to the eye, the mind. By inserting a smaller or larger amount of white in the basic colour, you will get pastel tones, and the feeling of purity and serenity. They make your mood better, bring serenity, a sense of playfulness, and fit into any interior. Pastel colours reflect light and are recommended for walls in smaller rooms, and is perfect if you have plans to paint your bathroom walls instead of going for tiles. 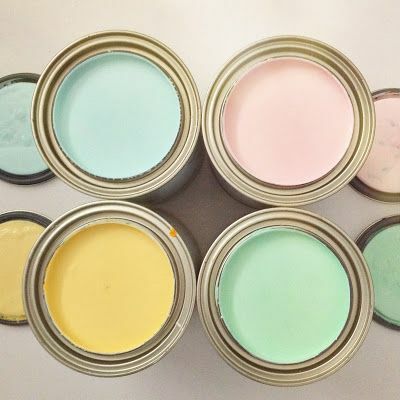 Popular pastel shades are purples, pinks, greens, turquoise blues, and creams. 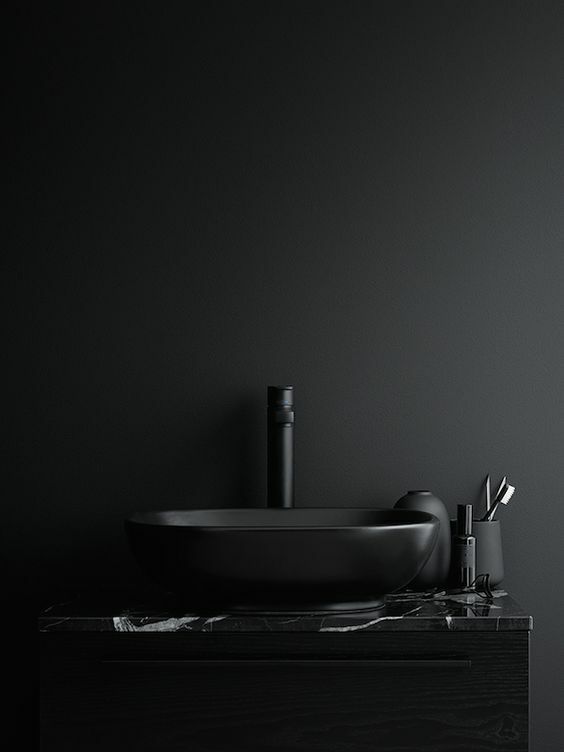 Black bathrooms have a style that is universal. This is because it lends itself perfectly to both a modern or traditionally styled bathroom. They carry an air of sophistication and depth. Black bathrooms don’t have to incorporate lots of black fixtures and fittings to achieve the look. A white vanity unit combined with black taps or pipework is a great example of how a little touch of black works beautifully. 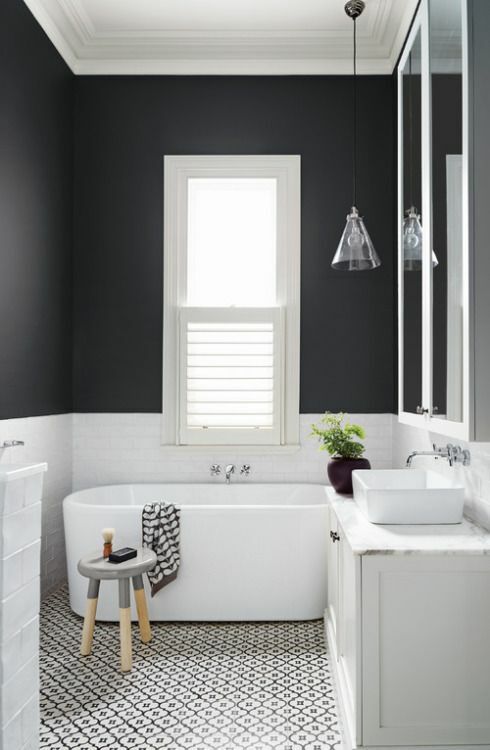 However, if you’re looking to make a bold statement in your bathroom then the black theme can be continued through matte black bathroom tiles, black radiators & towel rails, or black bath panels to create a really striking look. White bathrooms never goes out of fashion. The bright appearance of white surfaces reflecting light, both artificial and natural help to make white bathrooms feel more spacious than perhaps they are. White is the perfect colour if you are looking to incorporate features of minimalist or Scandinavian style bathrooms. it can easily be brought further to life through accent colours, as well as accessories, ornaments and towels. Chrome and brushed silver surfaces like taps and handles stand out when coupled with white bathrooms. If you are planning a white bathroom, laying real wood or wood effect bathroom flooring to complement your colour scheme is a timeless classic combination. 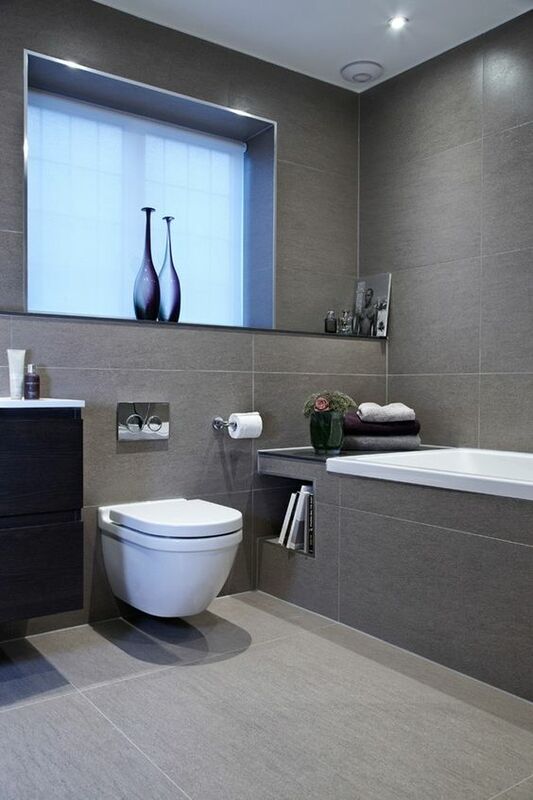 The popularity of grey bathrooms has increased over the past couple of years. Like any neutral it can wash out a room, but get it right in your bathroom and you’ll see why grey is the colour trend of the decade. Grey can be a really soothing shade when paired with the right hues. Most palettes work well with grey but, stick to one or two colours for a considered, designer scheme. A popular choice is grey tiles and a great option to further your theme is to install a grey anthracite coloured radiator or heated towel rail to compliment the chosen paint. The current trend is to use strong, vibrant colours which will really stand out against a the greys neutral backdrop. By using the same colour, but across a scale, you can create a rich, contrasting look that is still consistent and effective. Neutral bathrooms are really popular because they easy to achieve in almost any home. The style is foolproof too because you can’t really go wrong with a neutral coloured bathroom. This style is popular if you are doing up your bathroom in preparation for selling your home, as potential buyers are often able to simply visualise the changes they may wish to make. Thats doesn’t mean it is just for home sellers, neutral can be a very calming and comfortable style for all. Beige and brown coloured bathroom tiles are a great choice, particularly is you are tiling both your floor and walls with the same tile; this creates a consistent pattern really opens up the space in your bathroom, removing harsh lines and joins. White may be one of the most popular but safest choices when it comes to bathroom colours, but it certainly isn’t the only option. Bright and bold shades can add life and style to a bath, whether you use accent pops of colour or add an entire range. Bold coloured bathrooms are bright and vibrant. 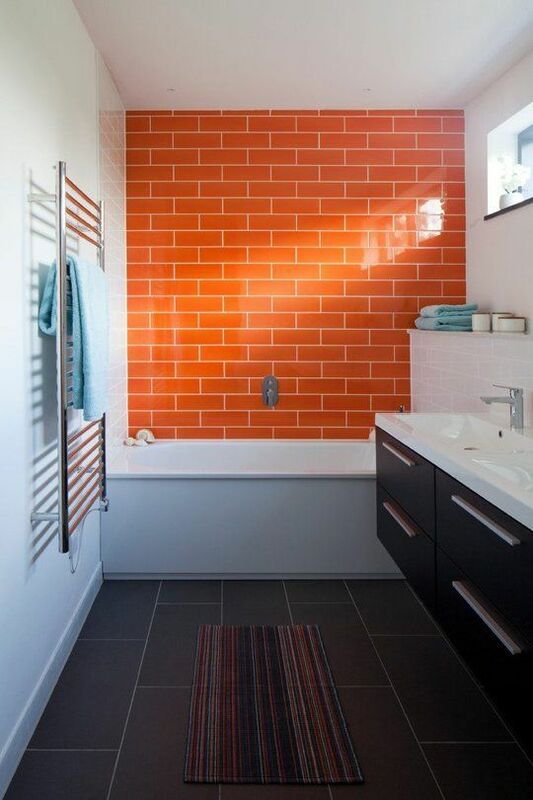 This style is exciting and very creative: a bold coloured bathroom could never be called dull and uninspired. There a number of vibrant ways to increase the energy in your bathroom, whether you’re looking for an easy update or are undergoing a full renovation. A great way to create a unique and impactful look is to add a coloured freestanding bath. Take the look further by coordinating other fixtures and accessories in the same or a similar colour. Another idea is to paint just one feature wall or an alcove in one bold colour, but if you are not looking to paint the walls, using coloured or mosaic tiles instead. The key to achieving a bold coloured bathroom is not to use too many colours, decide upon just 1 or 2 colours and make sure the theme is continued across your bathroom scheme. Monochrome bathrooms are an iconic style with a timeless appeal. The black and white craze doesn’t seem to be going anywhere just yet, in fact it seems to be stronger than ever. The use of monochrome in decorating can create a stunning and dramatic effect, without creating confusion within the interior design newbies. So why not take a cue from the fashion world and introduce the timeless chic of black and white into your bathroom. The monochrome look can range from minimalist to wild animal print, giving you plenty of scope when deciding on a theme. Black and white tiles are a great way of capturing the monochrome style in your bathroom. There are lots of black and white tile combinations to choose from but black and white metro tiles look particularly stunning. Using monochrome metro tiles in the herringbone pattern to add a little can individuality and texture to your bathroom redesign. Are you planning to have your bathroom redesigned soon? At Bathrooms Complete, we help our customers design the bathroom of their dreams that exceed their expectations. We can help guide you when deciding on your colour schemes, from your own personal tastes, to complimenting the rest of your home. To make an appointment, get in touch with us and we’ll work with you to design a bathroom that you love, from start to finishing touch.